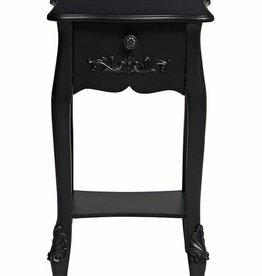 A wide selection of oak bedsides, solid wood, gloss and painted bedsides. The cabinet is comprised of a matt white finish carcass. W:50 x D:39 x H:40 cm. 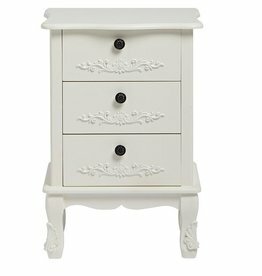 Oak & white painted bedside. 3 drawers. Supplied with metal and wooden handles. 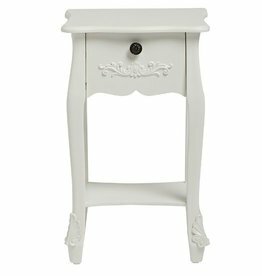 Oak & white painted compact bedside. 2 drawers. Supplied with metal and wooden handles. A beautiful high gloss white on walnut carcass bedside. Features 2 handy drawers ideal for storing away any belongings. 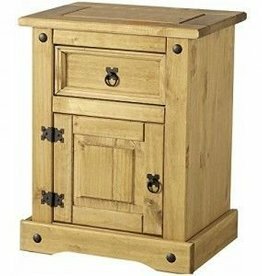 Features a handy drawer and internal shelf ideal for storing away any belongings. 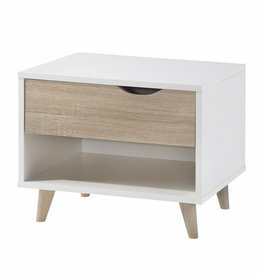 A mix of scratch resistant white melamine with beautiful high gloss fronts and oak melamine trim. A proposal for the followers of the latest trends. 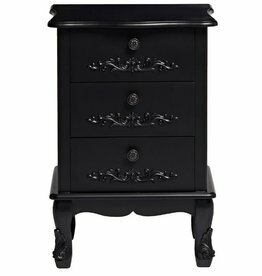 Woburn large 3 drawer bedside. The perfect ideal spot for a bedside lamp. 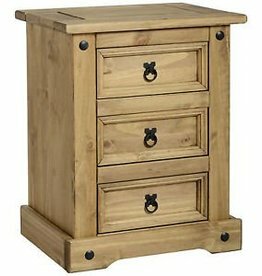 Woburn small 3 drawer bedside. Woburn range is suitable for a wide range of interior schemes. 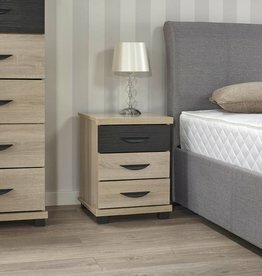 Offered as a package bundle of 1 x 3 drawer chest and 2 x 3 drawer bedsides. 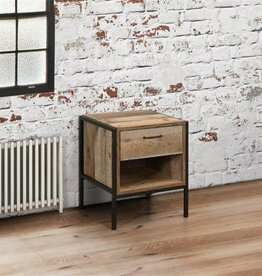 Natural cream colour painted body and distressed oak top. Sonoma oak finish bedroom furniture with curved metal handles. 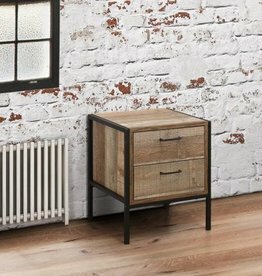 Manhattan aluminium & wood small side cabinet. 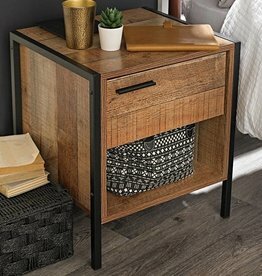 Corona 1 drawer 1 door bedside. Large surface top and 3 drawers of concealed storage space.